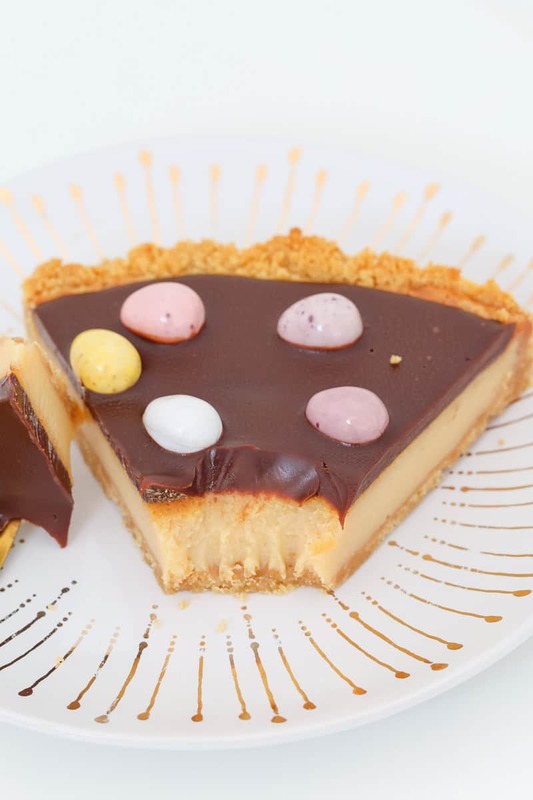 The most delicious Easter Chocolate Caramel Tart with a biscuit crumb base, creamy caramel filling, chocolate ganache topping and mini Easter eggs! 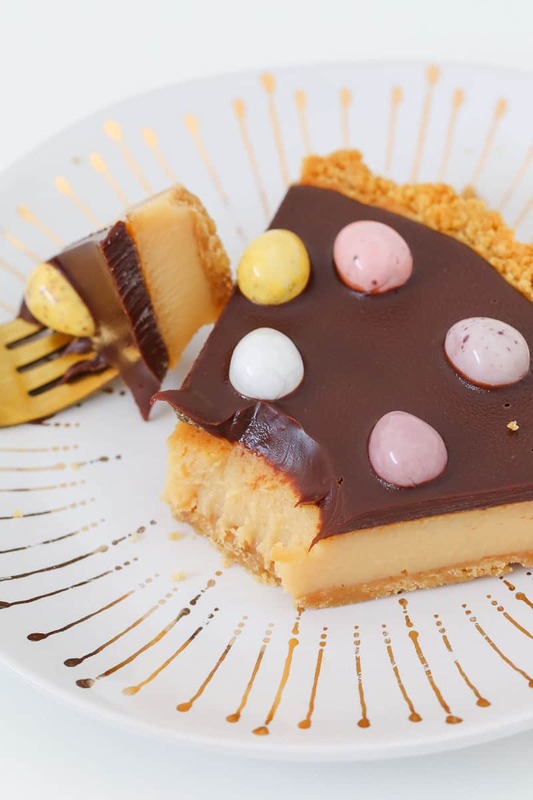 When it comes to Easter desserts, it doesn’t get any more decadent than this chocolate caramel tart. 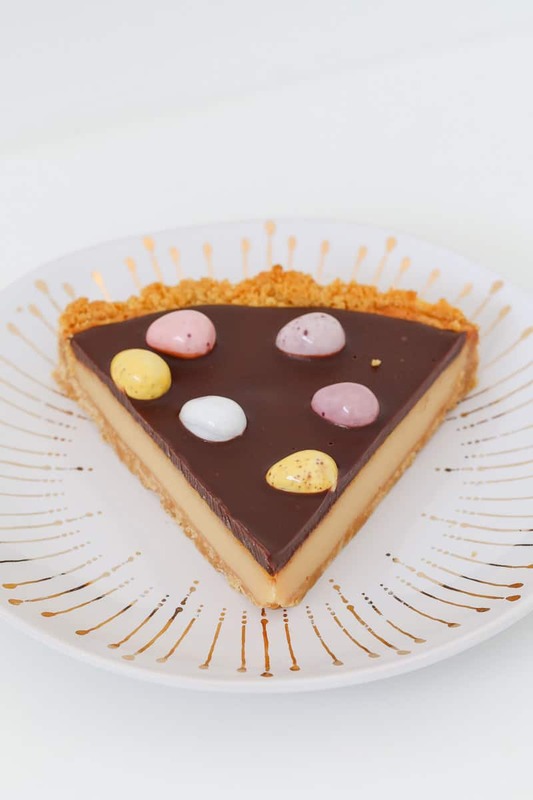 Think 3 layers of pure and utter deliciousness (just like our famous classic chocolate caramel slice… but in a tart AND with Easter eggs!!!). the base: a basic buttery biscuit crumb… 2 ingredients… so yum! … ummm did I mention that this is one super rich and addictively decadent dessert??? always, always, always use full-fat sweetened condensed milk when making caramel. Skim sweetened condensed won’t set as well as the full-fat variety.. so please don’t try and save any calories here! if using a stovetop, the caramel needs to be cooked on a low heat and stirred continuously for 10 minutes or until it’s obviously thickened. 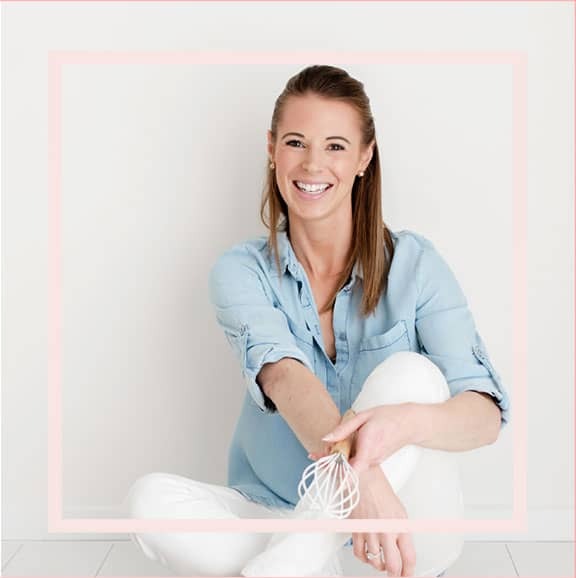 This is not the time to walk away! Stir, stir, stir!! if using a Thermomix, check that the caramel has thickened after the cooking time. If not, cook for a further 2 minutes. 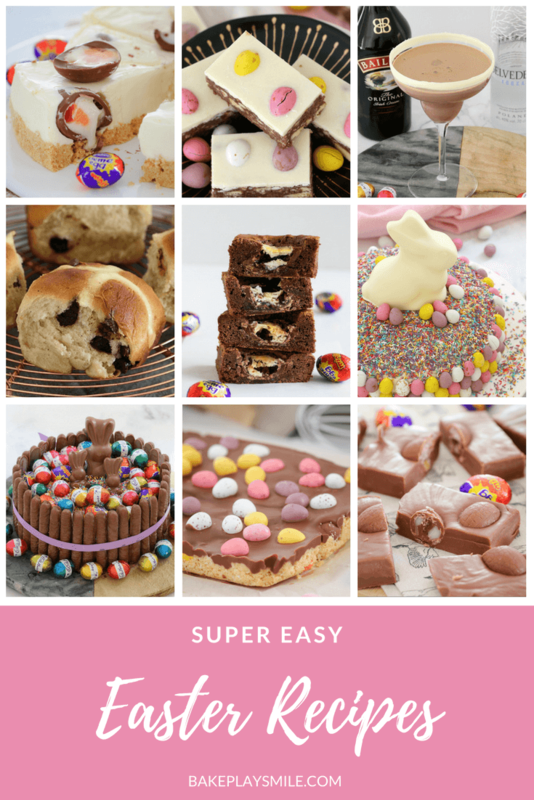 Chocolate ganache is the EASIEST thing ever! All you need is chocolate (I used dark chocolate in this recipe) and heavy (or thickened) cream. 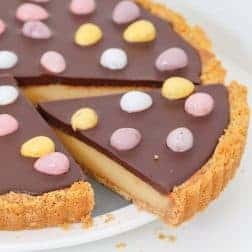 Then it’s simply a matter or melting the two together and allowing them to cool – you can do this in the microwave, on the stovetop or in the Thermomix. 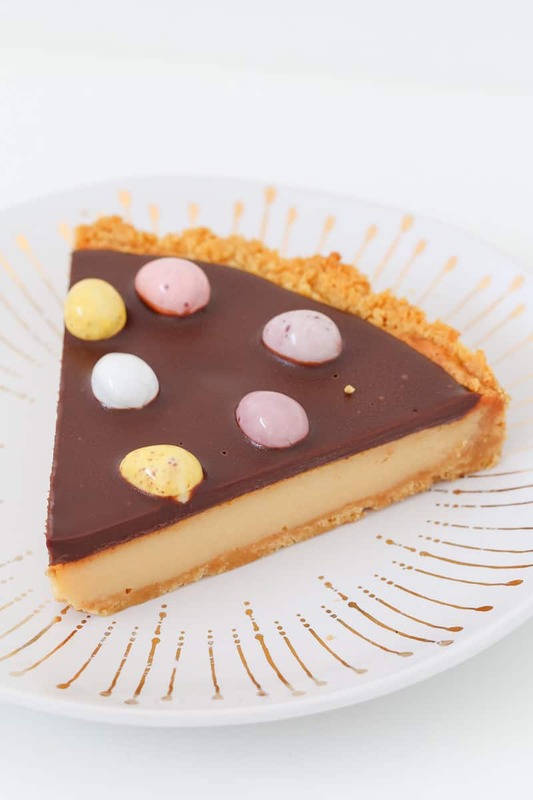 Some chocolate ganache recipes will use a slightly different ratio of chocolate to cream, but we want a nice thick and sticky ganache for this tart. Note: chocolate ganache will thicken on cooling as the chocolate sets firm. 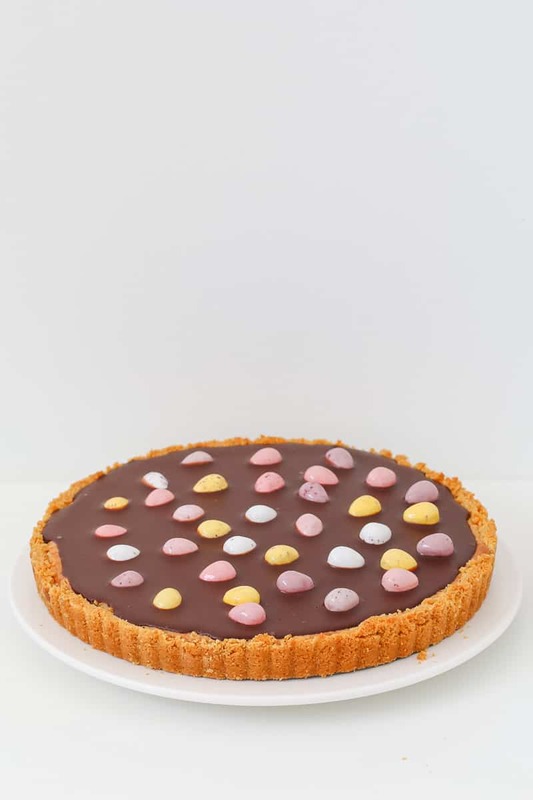 Given that this tart is super rich, you’ll only need a teensy piece… which means… leftovers!! 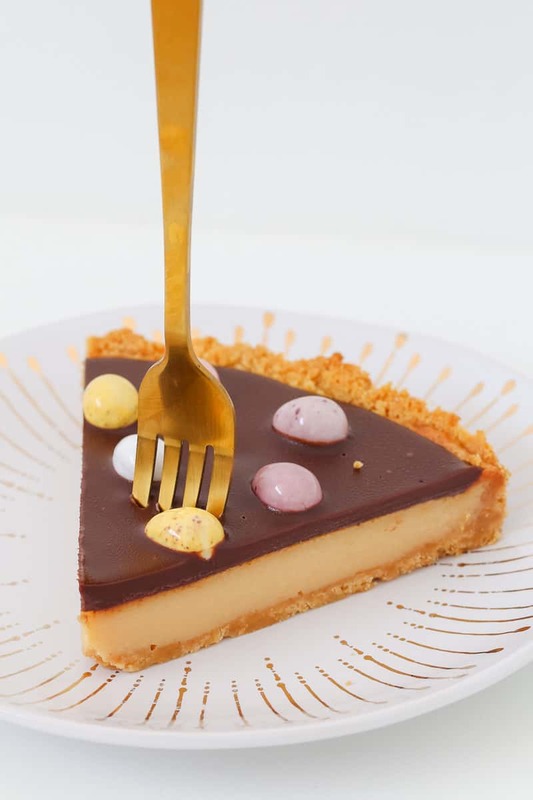 Our Easter Chocolate Caramel Tart is best served at room temperature, so if you live in a cooler climate, you can store it in an airtight container at room temperature for up to 5 days. If it’s super hot where you live (and your chocolate layer is going to melt! 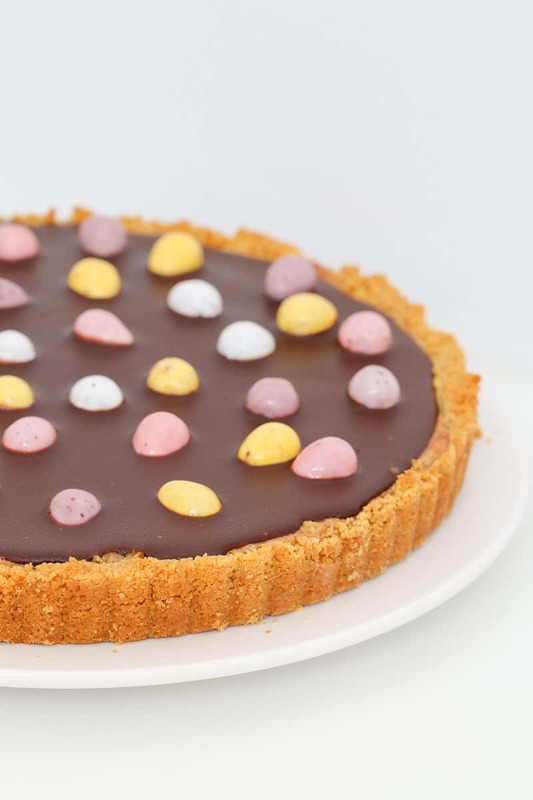 ), store the tart in an airtight container in the fridge – and bring to room temperature when you’re ready to serve. Preheat oven to 160 degrees celsius (fan-forced). 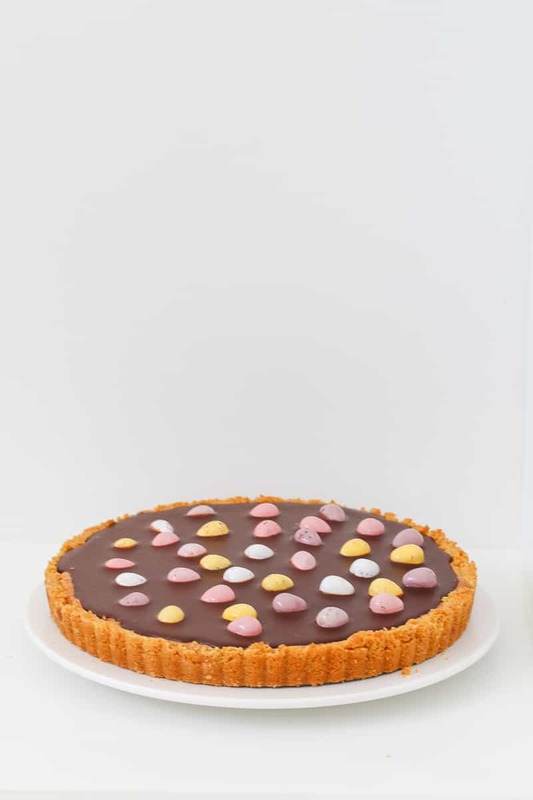 Grease the base and sides of a loose-bottomed 23cm tart tin and place onto a flat baking tray. Set aside. Crush the biscuits in a food processor until fine crumbs remain. Thoroughly mix through the melted butter and then press firmly into the base and sides of the prepared tin. 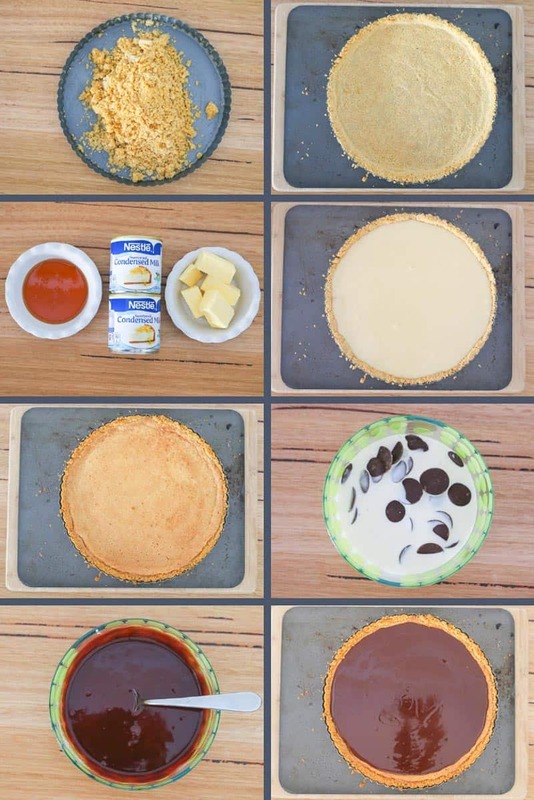 Note: Use a spoon or a round cup to press the mixture firmly into the tart tin. Place into the oven for 10 minutes before removing and setting aside to cool slightly. To make the filling, place the golden syrup, condensed milk and butter into a small saucepan over low heat. 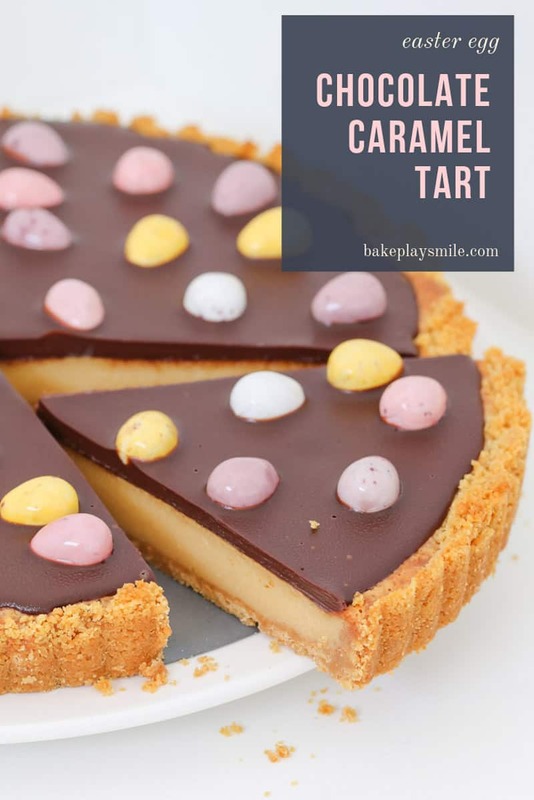 Pour the caramel into the tart shell and bake for a further 15-20 minutes or until golden. Allow to cool. To make the chocolate ganache, break the chocolate into chunks, add the cream and place both into a microwave-safe bowl. Microwave for 30 seconds. Stir and microwave for a further 30 seconds. Allow the ganache to cool for 10 minutes or until slightly thickened (place into the fridge if needed). 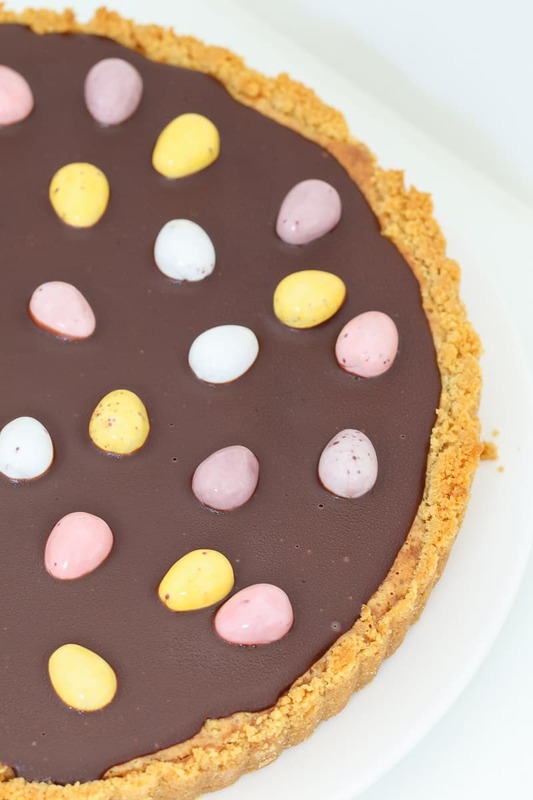 Pour the chocolate ganache over the tart, place into the fridge for 10 minutes and then decorate with mini Easter eggs and place back into the fridge to set for 2 hours. You can use any plain sweet biscuit for this recipe. I used Arnott's Marie biscuits which are popular in Australia. Use full-fat sweetened condensed milk (not light). Choose a full fat (not light) thickened/heavy cream. Store the tart in an airtight container at room temperature for up to 5 days. Place the butter (chopped) into the Thermomix bowl and melt for 3 minutes, 80 degrees, Speed 2. Add the biscuits and crush on Speed 8, 10 seconds. Pour the mixture into the prepared tin and then press firmly onto the base and sides. Note: Use a spoon or a round cup to press the mixture firmly into the tart tin. To make the chocolate ganache, break the chocolate into chunks and place it into a clean and dry Thermomix bowl. Add the cream and cook on 60 degrees, 3 minutes, Speed 2. Could you sub the dark chocolate for milk chocolate? Is the ratios the same ?